Battling left-footed adaptable midfielder who was born in Romford but brought up in Ealing after his parents bought a shop there when Graham was only a few months old. After impressing in school football he had the chance to play for Arsenal as a youngster but due to difficulties travelling from Ealing to Highbury he wasn't able to take up the Gunners' offer. Shortly afterwards Graham was invited to train with Brentford along with three other members of his school team and he joined the club aged 14 in 1957. The Bees were his local side with Griffin Park being around three miles from Graham's home. At the age of 16 he started playing for Brentford's youth team and Graham soon become captain of the side. He spent two seasons - 1959/60 and 1960/61 - playing for them although his future was put in serious jeopardy when he suffered a severely gashed shin during a match. Graham didn't wear shin-pads at the time and on a wet day the dye from his socks seeped into the wound which led to an infection setting in. A few days after the game he was rushed into hospital for emergency treatment and was told that if the wound hadn't been attended to at that time he may have ended up losing his leg. Graham progressed into Brentford's reserve team during the 1961/62 campaign and made 23 appearances without scoring. In August 1962 he was signed as a professional aged 18 and soon became captain of the reserves, scoring three times from 31 outings for them during 1962/63. Although the Bees' first team trainer Tommy Cavanagh rated Graham highly, the club's manager Malky MacDonald, a former Scotland wartime international player, tended to prefer Scottish players and as a result Graham found it hard to break into the senior squad. During the 1963/64 season Graham was led to believe he'd finally be making his first team debut as both Brentford's regular first team centre-forward and his usual back-up were unavailable for a League Cup tie against First Division Burnley. Graham was named in the squad for the match but ended up as 12th man at a time when there were no substitutes. In 2014 Graham said he missed out because George Thomson - a last-minute signing from Everton - wore the number nine shirt instead and it was especially galling as Thomson usually played as a full-back. After the disappointment of missing out on his first team debut Graham decided to leave Brentford as he felt he was never going to be given a chance in the senior side and despite being offered a new £18 per week contract he opted to leave the club before the end of the 1963/64 season having scored six times from 23 appearances for the Bees' reserves. Having left Griffin Park Graham got a job in Brentford Market and on Wednesday afternoon's he played for the Market's football team to keep fit. He was still only 21 at the time but felt his serious football days had come to an end. However during 1964/65 Graham was offered a trial at Millwall and scored on his debut for their reserves in a 2-2 draw against Notts County. He also featured against Bournemouth's reserves - another 2-2 draw - but although Graham was offered the chance to play again he wasn't happy about Millwall's manager not watching either of the games he'd taken part in and decided to drop out of senior football once more. Graham resumed his career at the start of the 1965/66 campaign when he signed for Southern League Division One outfit Bexley but he found the journey from his home in Stanwell, Surrey arduous and after a couple of months he left the club. Graham then spent some time playing amateur football in a works' league, often taking part in matches against teams from large factories where there were top-class sports facilities. Towards the end of 1965 a chance meeting with the son of former Hastings manager Ted Ballard led to Graham returning to senior football. Ballard's son, who was playing for Hastings' reserves at the time, recognised Graham in a nightclub in Richmond, Surrey and, by Graham's own admission in 2014, "after a few drinks" he was persuaded to try his luck with Hastings who were then managed by Sid Bishop and had recently recruited former Spurs' star Bobby Smith to their ranks. Graham scored a hat-trick on his debut for Hastings in a Kent Floodlight Cup tie against Ramsgate and it was the start of a prolific run for him. He scored 36 goals for the Southern League Division One club before the end of the 1965/66 season as they missed out on promotion by just four points and Graham's tally included a hat-trick in a home game against Gloucester. He then scored five in the return match. He was scouted by five Football League clubs and high-flying Southern League Premier Division outfit Chelmsford made an offer of around £3,500 for Graham which was turned down. He stayed with Hastings for the start of the 1966/67 campaign but after a change of management at the club Graham joined Hillingdon of the Southern League Premier Division in a straight swap for Jimmy Whitehouse midway through the season. Graham scored 12 goals for Hillingdon during the remainder of the campaign. In June 1967 Graham moved on to Division One club Ramsgate after the Rams' secretary Tommy Bickerstaff made contact with him. Graham then met Ramsgate's player-manager Les Riggs at Victoria Station in London to sign a contract, and at the time he was working as a truck driver for a firm that installed concrete floors in large commercial buildings. At one stage the company were involved with a project in Ramsgate so Graham would drive to Southwood for matches in his work lorry, park it in the car park at the ground and then drive home to Stanwell. He quickly became a key player for the Rams and they won the Kent Senior Shield during 1967/68 as well as reaching the final of the Southern League Cup, losing to Margate in a replay. As he extended his spell with Ramsgate Graham moved to the Thanet area and he became the club's captain. He helped the Rams retain the Kent Senior Shield during 1968/69 and was a fixture in their side for the next few seasons too. In January 1972 Margate - by then managed by Les Riggs - made an offer for Graham that was turned down by Ramsgate and the Rams finished 1971/72 as runners-up in the Southern League First Division (South), gaining promotion to the Premier League. In September 1972 Maidstone tried to sign Graham and he came close to agreeing a deal with manager Ernie Morgan. However the Stones chairman refused Morgan permission to offer Graham a contract that included wages during the summer months - something he was used to at Ramsgate - and as a result the move didn't happen. In addition, in 2014 Graham recalled hearing that Les Riggs may have phoned Ernie Morgan to tell him that Graham was "over the hill" and not worth signing - a ploy to try and prevent him from joining any other club apart from Margate. In November 1972 Margate tried to buy Graham once more but once again Ramsgate refused Les Riggs' bid and their player-manager Jack Smith said the offer was "much too low". He said the club wanted cash plus Margate winger John Baber in exchange for Graham. In December 1972 Margate finally got their man when Graham joined the club for a four figure fee, having made over 300 appearances for Ramsgate in five full seasons there. He made his debut for Margate in a 2-1 win at Romford in the Premier Division on 22.12.72 and the Isle of Thanet Gazette said Graham's performance in midfield was "thoroughly satisfactory". He also started each of Margate's next three games before having to sit out the famous FA Cup 3rd Round tie against Tottenham in January 1973 due to being cup-tied. In 2014 Graham said, understandably, that he was "gutted" to have missed the match but had consoled himself with the knowledge that he'd played against many of the Spurs side during his reserve team days at Brentford. The Spurs game aside, Graham was a fixture in Margate's team for the remainder of the 1972/73 campaign and local press reports variously described him as being "deadly in the tackle", "lion-hearted", "a driving dynamo" and "a midfield grafter". He made a total of 29 appearances without scoring before the end of the season. Having initially worked as a sales representative for local company Keel Toys when joining Margate, Graham started a cleaning business with team-mate Steve Breach in the summer of 1973 and during 1973/74 he was a regular in midfield once again. Graham's performance in a 1-1 home draw with Weymouth on 1.9.73 led the Thanet Times to describe him as "a constant inspiration" and he was also praised for his "driving enthusiasm and bite in the tackle". On 15.12.73 Graham got his first goal for Margate in a 3-3 draw with visitors Barnet. On 27.1.74 Graham scored in Margate's first-ever Sunday match - a 5-1 win over Bognor Regis in a Southern League Cup tie at Hartsdown Park - but on 17.2.74 he fractured his leg during the first half of a Kent Senior Cup tie against visitors Folkestone. Having missed ten matches Graham bravely returned to action in a 1-1 draw with Yeovil at Hartsdown Park on 6.4.74, just six weeks after suffering his fracture, and on 13.4.74 he was in the side that won the Kent Senior Cup with a 2-0 win at Maidstone. Graham then broke his nose during a 3-1 home win over Nuneaton on 22.4.74. By the end of the season he'd scored twice from a total of 49 appearances. 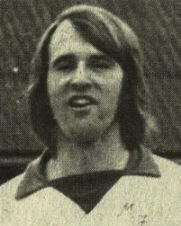 Graham became club captain for the 1974/75 campaign and also helped out with the coaching of Margate's junior side. He started each of the first five games of the season but suffered an ankle injury in a 3-0 win at Wealdstone on 31.8.74 and missed the next five matches as a result. Graham returned to action when he came on as a substitute after 60 minutes of a home game against Stourbridge on 21.9.74 at a time when the visitors were leading 2-0. Within a minute of taking to the field Graham scored with a curling chip to get Margate back into the game and he played a key role as the match finished 2-2. Graham then featured twice more as a sub in the next three games as he got back to full fitness before returning to Margate's midfield in a 2-0 defeat at Chelmsford on 12.10.74. From then on he was a fixture in the side again until the end of 1974 and sometimes featured in attack. On 7.12.74 Graham got his second goal of the campaign in a 2-0 win over visitors Dartford. Graham missed four matches in January 1975 before resuming his midfield duties and early in the year he was offered the chance to go and play for London City in Canada. However Les Riggs refused to release him from his contract as he felt Graham was too valuable to Margate. Having set his heart on making the move to Canada Graham had organised all the necessary immigration paperwork so it was a major blow to him when Margate wouldn't let him go. In 2014 Graham explained that the club's stance forced him into trying to engineer his release by acting in an uncharacteristically unprofessional manner. Despite enjoying himself off the field at nightclubs and suchlike, Graham had always prided himself on his commitment and professionalism at every club he'd been with, especially as he was usually captain and had to set an example to others. So having already provoked Les Riggs into warning him about his future conduct by intentionally arriving late for training a few times and already facing a ban for picking up three yellow cards matters came to a head for Graham during a 5-1 defeat at Grantham on 22.3.75. He was playing at centre-back against his wishes and having grown increasingly frustrated about not being able to influence matters in midfield Graham was sent off after a clash with a home attacker. The following day Margate held an emergency board meeting at which it was agreed to terminate Graham's contract. He was delighted as it meant he was able to go to Canada and commenting on Graham's departure Les Riggs said "Naturally I was distressed to have taken such an action against a player with whom I have had close contact for eight seasons...I fully appreciate Graham's sterling qualities." Riggs added "he is a great-hearted performer who often turned out in an emergency, though handicapped by injury, but in the club's interests and the welfare of the team, action had to be taken." Graham had scored twice from 41 appearances during 1974/75 before his departure from Hartsdown Park. Having secured his move to London City who were based in Toronto, Graham spent the summer of 1975 playing for them alongside his former Margate team-mates Steve Breach, Barry Brown, John Hold and Paul Smith as well as other former Margate players Phil Brooman and Ray Flannigan. Unfortunately a broken ankle ended Graham's spell in Canada and he flew home to England. Ray Flannigan also returned to the UK at around the same time due to a family bereavement and at the start of the 1975/76 season Graham and Ray, both without a club, trained together in the Palm Bay area of Margate as Graham recovered from his injury. He then spotted a newspaper advertisement placed by Southern League Premier Division strugglers Cambridge City who were searching for experienced players and having contacted the club's manager both Graham and Ray were asked to join City immediately. 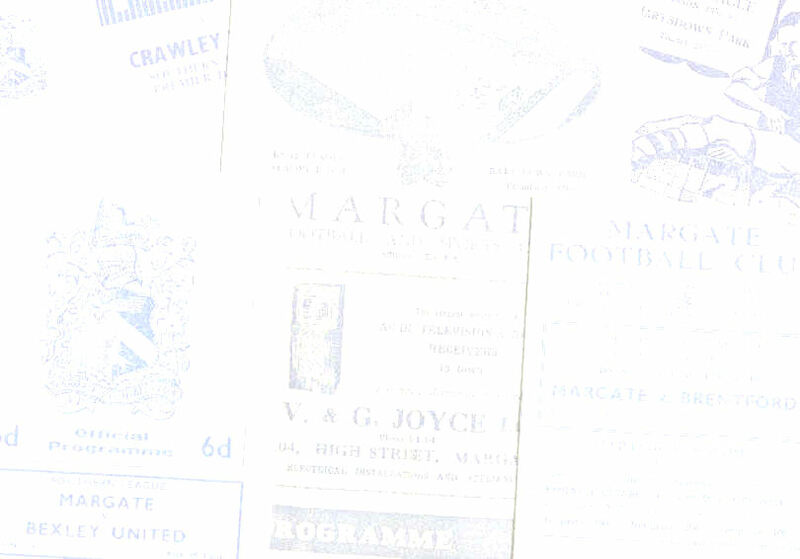 On 6.12.75 they were both in the side that lost 6-2 against Margate at Hartsdown Park. Graham went back to Canada for the 1976 summer season there and became London City's player-manager. Steve Breach and Ray Flannigan were once again part of the club's squad and along with Graham they were later called up by Canada to attend a training camp with a view to being in the national team's squad for World Cup qualifying matches. None of them ending up playing for Canada as Ray and Steve didn't have the correct immigration papers and whilst Graham did he hadn't been in the country long enough to qualify to play for Canada. After four years back in Canada Graham returned home to the UK in 1980 having suffered cruciate damage to his left knee and in July 1980 he was appointed as manager of Ramsgate who by then were languishing in the Kent League and struggling with severe financial problems. Graham replaced legendary Margate star Bob Harrop as the Rams' boss and appointed Freddie Kearns - a prolific goalscorer for Margate in the 1950's - as his assistant. Graham resigned as Ramsgate's manager in October 1980 and almost all of the Rams' players left the club at the same time in a show of loyalty to him. He then spent around a year as joint manager of Thanet Premier Sunday League side Westgate United Services Club, working alongside Phil Brooman, and Graham also started playing for them, his first matches since suffering his knee injury in Canada. In October 1981 Thanet United manager Terry Morris approached Graham and asked him to join the club. As a result Graham returned to Hartsdown Park aged 38, six-and-a-half years after originally leaving Margate. He made his first appearance in a 2-1 home defeat at the hands of his old club Hillingdon in the Southern League Southern Division on 3.11.81, playing at centre-back. Then in his second game, a 3-2 win over Fareham at Hartsdown Park on 7.11.81, Graham made a dreadful error that led to one of the visitors' goals when he stood on the ball and fell over. The Thanet Times described it as "the kind of mistake that would have had a schoolmaster ticking off any 11 year-old". After missing Thanet's next match Graham then scored an own goal in a 3-0 defeat at Addlestone & Weybridge on 18.11.81 and, according to the Isle of Thanet Gazette, he "slumped to the ground in horror" as a result. Graham then suffered a recurrence of his knee injury and left the club having made three appearances. Graham later became assistant manager to John Wickens at Herne Bay and when Wickens became Thanet United's manager in November 1983 Graham returned to Hartsdown Park once more to assist with coaching. In November 1984 he was one of several candidates interviewed by Dover for their vacant manager's position and Graham was immediately offered the job. He accepted and the next day he went to the Broome Park hotel between Canterbury and Dover to sign a contract. Graham's partner also went with him as he finalised the deal. During the course of their drive home she made it clear to Graham that she wasn't happy about him taking the Dover job and as a result Graham decided to tell the club he wouldn't be able to join them after all. He notified Dover's board the day before he was due to take charge of his first match and future Margate manager Steve McRae became the club's manager instead although later in the 1984/85 season he was replaced by Chris Kinnear who was taking his first step in a managerial career that eventually saw him lead Margate into the Conference. Graham rated Ramsgate's Dave Huddart and Margate's Steve Bowtell as the best goalkeepers he played alongside and said he had regrets about missing opportunities in life due to always putting football first. Played in Kent Senior Cup Final (13.04.74 - beat Maidstone United 2-0). Finished bottom but not relegated.